433 pages | 30 B/W Illus. Jiguo Yu received the PhD degree in School of mathematics from Shandong University in 2004. From 2007, he has been a professor in the School of Computer Science, Qufu Normal University, Shandong, China. He is currently a professor in the School of Information Science and Engineering, Qufu Normal University. His main research interests include wireless networks, privacy-aware computing, distributed algorithms, peer-to-peer computing and graph theory. 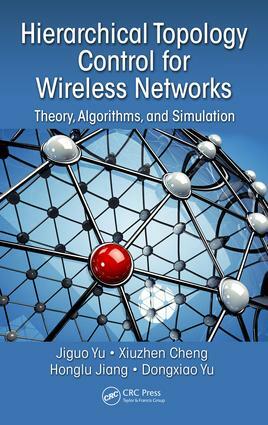 In particular, he is interested in designing and analyzing algorithms for many computationally hard problems in networks. He has published 100+ papers on top journals and conferences such as IEEE/ACM Transactions on Networking, IEEE Transactions on vehicular Technology, IEEE Internet of Things Journal, IEEE Transactions on Big Data, IEEE Transaction on Cloud Computing, IEEE INFOCOM, IEEE ICDCS and so on. He is an editor of Journal of Network and Computer Applications and International Journal of Sensor Networks, a senior member of IEEE and CCF (China Computer Federation).